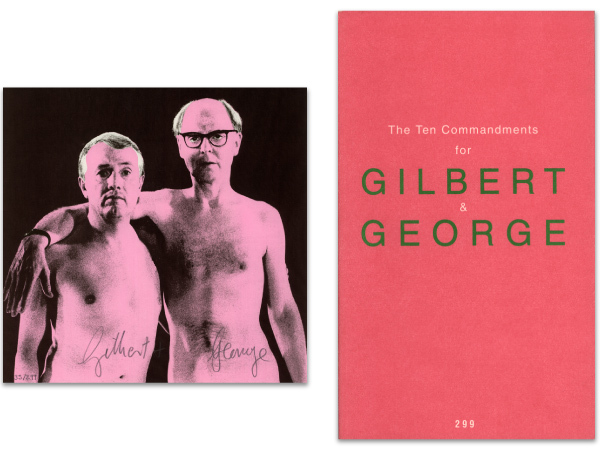 Gilbert & George, English painters, create living sculptures by putting themselves on stage. They advocated a new realistic and vivid colors world mode of joy and sexual freedom. Major retrospective at Tate Modern in London in 2007.